Harvesting natural energy resources in the Middle Ages was a big investment, and communities of small industries gradually evolved around the mills that were built to utilise hydro and wind energy. Those communities were the first examples of a sustainable energy economy. Now,we understand better than ever that the prosperity of a society depends on energy security and our technological capabilities to satisfy the society’s hunger for energy. Unlike early engineering, our energy supply is mainly based on coal, gas, oil and nuclear sources – none of which is meant to last forever.South Africa’s total electricity generation capacity in 2010 was mainly supplied by coal (90%) or nuclear (5%) energy sources, and only a small fraction came from renewable hydro (5%) energy sources. However,South Africa is blessed with abundant solar power and how can we harvest those enormous natural resources? The most efficient way thus far is through solar thermal plants,in which fluids are heated to drive turbines and produce electricity. Another solution is the use of photovoltaics, which directly generate electricity from sunlight. The energy generated this way can be fed into the utility grid or stored for later use. Storage of solar energy may be achieved through advances in battery technology,the solar-powered production of hydrogen, methane or other types of fuels, or the storage of heat in so-called heat batteries. The Integrated Resource Plan (IRP2010) approved by Cabinet on 16 March 2011 forms the basis of planning to meet South Africa’s electricity generation needs until 2030. The plan is to broaden electricity supply technologies to include gas, biomass, nuclear and renewable energy sources in response to both the country’s future electricity needs and to progressively reduce carbon dioxide emissions. Universities in the country and other institutions are prepared to support South Africa in its attempt to utilise the enormous potential that lies in the harvesting of renewable energy resources. We need to learn to cultivate the same vision and passion for the generation and conservation of energy as those early pioneers in the Middle Ages. 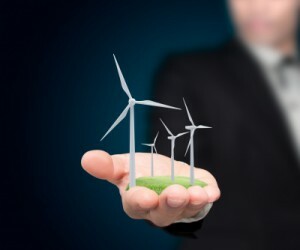 This not only has to involve the search for technological breakthroughs,typified by certain research units , but equally important it must incorporate the development of a general public attitude of energy awareness, which may best be characterised by the buzzword ‘energy sustainability’. The most successful ideas from this initiative may then serve as a role model for urban and rural areas in South Africa and may give rise to flourishing small economies located in the neighbourhood of small and medium sized renewable energy plants.